Darren Chaker looks at the Fourth Amendment’s border search exception, permitting warrantless and suspicionless “routine” searches of belongings and persons at the U.S. border, should not apply to digital devices like Ms. Molina-Isidoro’s cell phone. All border searches of the data stored or accessible on digital devices—whether “manual” or “forensic”—are “non-routine” and thus fall outside the border search exception. This is because any search of digital data is a “highly intrusive” search that implicates the “dignity and privacy interests” of the traveler. U.S. v. Flores- Montano, 541 U.S. 149, 152 (2004). Under the Supreme Court’s ruling in Riley v. California, 134 S. Ct. 2473 (2014), border agents should be required to obtain a probable cause warrant to search the data stored or accessible on a digital device. The constant border-search-computer is sometimes reprehensible conduct, but other times it is not. Darren Chaker finds the interests are analyzed by considering whether a search conducted without a warrant and probable cause is sufficiently “tethered” to the purposes underlying the exception. Id. at 2485. 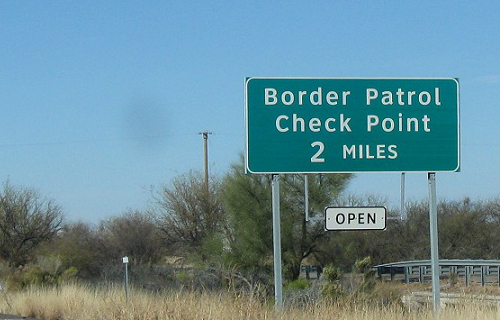 In the case of digital data at the border, not only are individual privacy interests at their highest in devices such as cell phones and laptops, searches of digital devices without a warrant and probable cause are not sufficiently “tethered” to the narrow purposes justifying the border search exception: immigration and customs enforcement. However, even if such “tethering” may be considered sufficient—meaning that there is a clear nexus between enforcing the immigration and customs laws, and conducting searches of digital devices at the border without a warrant and probable cause—the extraordinary privacy interests that travelers have in their cell phones and laptops outweigh any legitimate governmental interests. Prior to the rise of mobile computing, the “amount of private information carried by international travelers was traditionally circumscribed by the size of the traveler’s luggage or automobile.” U.S. v. Cotterman, 709 F.3d 952, 964 (9th Cir. 2013) (en banc). Today, however, the “sum of an individual’s private life” sits in the pocket or purse of any traveler carrying a cell phone, laptop or other digital device. Riley, 134 S. Ct. at 2489.